September 16th, the President of Home and Abroad News Press Mrs. Wei Yan led 12 Chinese entrepreneurs from Hong Kong, Beijing, Shanxi, Anhui, Guangdong, Guizhou as a business delegation to visit New York, Philadelphia, Washington, Las Vegas, Los Angeles, San Francisco, Seattle and other cities in the United States. During the visit in Las Vegas, the delegation members attended the Nevada state government business breakfast and “The First China-US Branding Strategy Forum” with the officials from the state government. September 20th 11am, the Commissar Chair of Clark County Mrs. Susan Brager awarded the “Honorary Citizen” Certificates to all delegation members on behalf of the two million American people in Nevada state, this prize is considered as the highest honor granted to foreigners from the local government. September 27th, Las Vegas Chinese Times published the news with photos and an article. Las Vegas, Nevada's largest city, has the world's top resort hotels, world-class shows with high-tech entertainment facilities. This modern desert city with a population about two million attracts 38.9 million visitors each year, ranking the first in all major cities in the United States. Nevada Clark County (Las Vegas) government actively promotes the cultural and economic exchanges with China and plays an important role in the new economic development of the United States. Home and Abroad News Press is an authoritative media in China with 49 branches, satellite offices and information centers around the world, including the United States, Canada, Finland, France, the United Kingdom, Singapore, Japan, Korea, New Zealand, Australia and other countries. June 2006, the media has been designated as the mainstream media by the North-North Network associated with the United Nations, the Steering Committee of the UN-HABITAT and the UN International Eco-safety Cooperative Organization. The “Honorary Citizen” certificate from Clark County government is to recognize the outstanding efforts and contributions of Home and Abroad News Press in the economy, trades, culture, tourism and education fields between China and the United States. As the Executive Director of Home and Abroad News Press Council, the CEO of Shanxi YuLong Real Estates Development Co. Ltd Mr. Zhao Yuke said that as a “honorary citizen” of Clark County, we will pay more attention to the urban development of Las Vegas city and will explore real estate opportunities in Las Vegas with confidence and sincerity. Mrs. Amy Chen, the Vice President of Xieli Economic and Cultural Exchange Center of the National Committee of the CPPCC, expressed that as a “honorary citizen” of Clark County (Las Vegas city), we will focus on promoting the bilateral exchanges and cooperative opportunities among Chinese and American cities for expanding business connections. The CEO of Xi’an Shuangwei Industrial Development Group Mr. Bai Guo, the CEO of Guizhou Henji Real Estates Co. Ltd. r. Liu Junqiang and the General Manager of Anhui Fifth Construction Group Co. Ltd. Mr. Yang Lianjun also delivered theme speeches at the awarding ceremony. 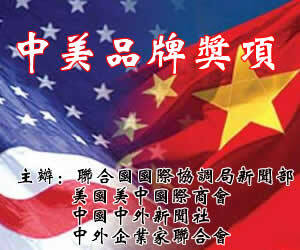 They all wished to continue building a closer partnership with Las Vegas city, Clark County with Chinese cities. After the awarding ceremony, the delegation members had a formal meeting with Nevada Development Authority officers and local business people. They also visited two high-end real estate projects in Las Vegas to learn more about city planning for residential districts and their architectural designs. The delegation members also visited the government sponsored nursing homes and sent the gifts and greetings to senior people over there for demonstrating the friendship from Chinese people. Then, the delegation went to the US headquarters of Microsoft and Boeing, Stanford University and other famous institutions. On the same day, Mrs. Wei Yan accepted an exclusive interview with Las Vegas Times, she said: “With strict selection procedures, recommended by Home and Abroad News Press, the delegation members are all qualified with the standards of “honorary citizen”. This honor of being a honorary citizen in a developed county is truly priceless, and it is the highest honor to foreigners from a country.” She expressed that even though she already received the honors of the “Royal Medal” from the King of Cambodia and the “Presidential Award” from the President of Iran, she still attaches great importance to this “Honorary Citizen” honor from Clark County (Las Vegas). She said, Home and Abroad News Press and its premium branded website will regularly promote Clark County and Las Vegas City’s investment environment, tourism and cultural industries so that more Chinese people can learn more about Nevada state. In the future, the media will keep this mandate as one of its routine agendas to fulfill the responsibilities, rights and obligations of an “honorary citizen”.